A.L.M. Consulting Engineers has the technical expertise and experience to provide mechanical engineering designs that will meet your client’s needs along with health and environmental requirements for indoor shooting ranges. 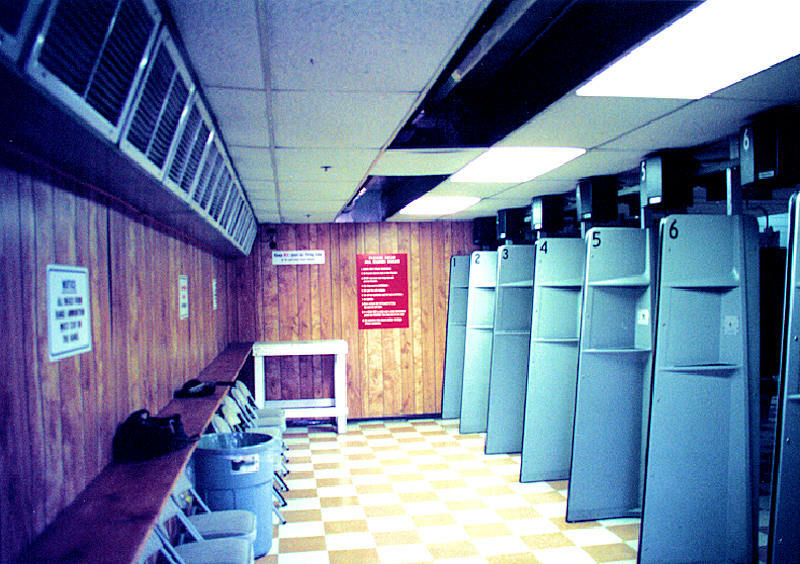 Indoor shooting ranges provide unique mechanical engineering challenges that differ from most other projects. The mechanical engineer needs to design a ventilating system that will remove the lead (from the discharge of the weapon) away from the shooter/occupants breathing zone as quickly as possible, maintain a comfortable temperature in the range and exhaust the contaminated air into the atmosphere to meet the requirements of the environmental protection agency (EPA). There are indoor shooting range studies written by the National Institute for Occupational Safety and Health (NIOSH) that provide guidelines that should be adhered to. This facility is approximately 6,600 ft2 with six (6) shooting lanes. The shooting range is heated by a heating hot water boiler with a roof top air handler. This system is controlled by Direct Digital Controls (D.D.C.). There is 12,000 CFM of exhaust for this range with High Efficiency Particulate Air (HEPA) filters. The other areas of the facility are heated and cooled by roof top package gas/electric units. This facility is approximately 11,000 ft2 with fourteen (14) shooting lanes. 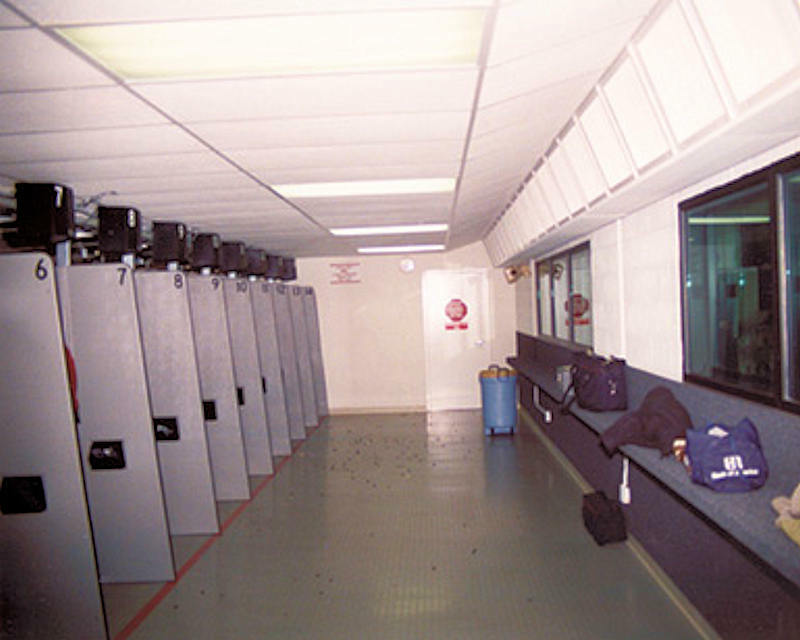 The shooting range is heated by a heating hot water boiler with a roof top air handler. This system is controlled by Direct Digital Controls (DDC). There is 27,000 CFM of exhaust for this range with High Efficiency Particulate Air (HEPA) filters. 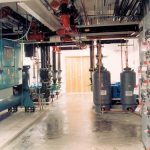 The other areas of the facility are heated and cooled by roof top package gas/electric units.